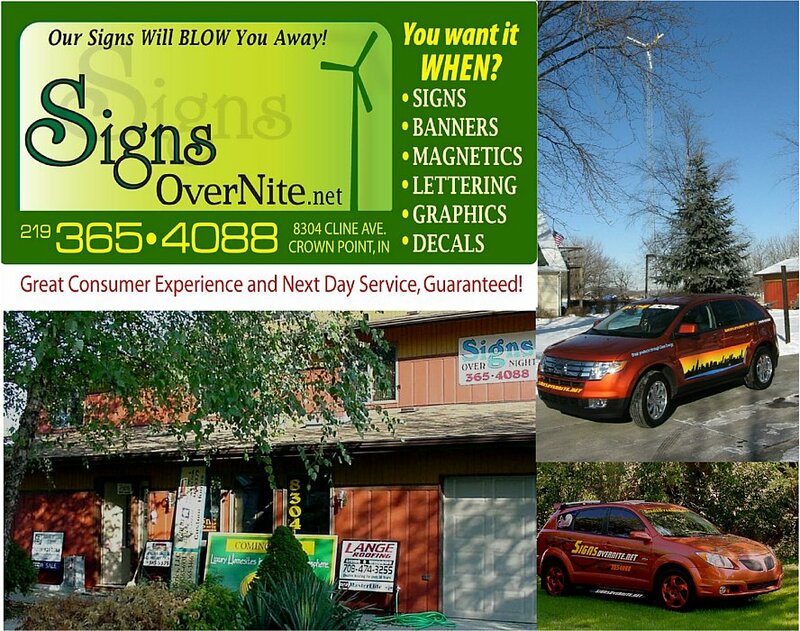 We are a Home Based, Family Run, Sign Shop located in Crown Point, Indiana. Serving our local community for Over 40 Years. Website sales began in 2001 and we have filled over 400,000 orders to present date. We installed a Bergey 10K Wind turbine in our back yard that generates power to run the sign and sticker shop. Here is a list of all of our websites, each focuses on the different products we offer, from vinyl lettering for trucks and trailers, windows and doors, Yard Signs to Billboards, Banners and Flags, See how we can make you shine! (Chrome Letters and Emblems too!) Thank you for your time. All orders ship USPS the next business day!